Do you have a message to send to the future? What would you preserve from your current reality? Are you interested in making videos and photos? Are you interested in the topic of migration or have a migrant background yourself? Join us to create a time capsule in CHANGE FOR MEDIA – PRESENTING THE FUTURE, 17-26 August 2018, Hungary! 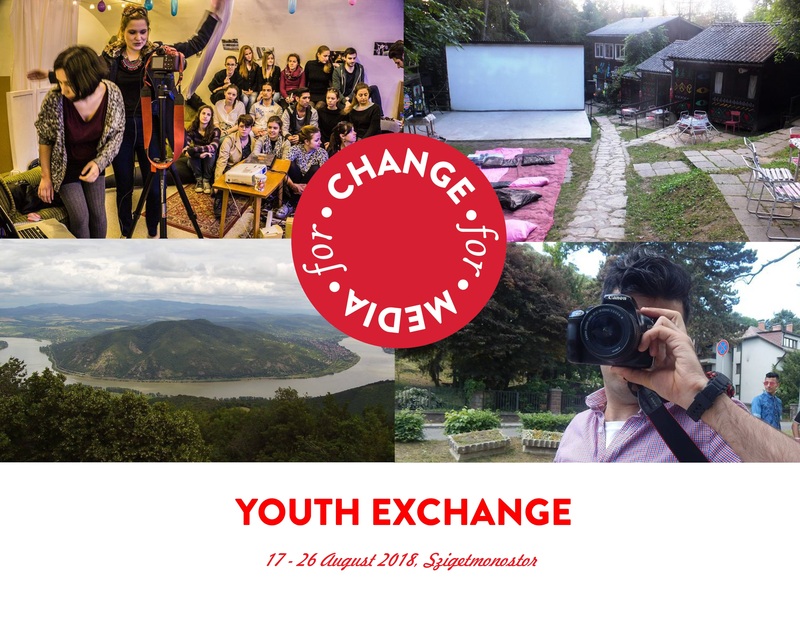 The youth exchange will bring together 25 participants from 5 countries (Hungary, Italy, Spain, Serbia, Ukraine) for 9 days, in which they will develop skills and gain competences to make their voice heard by the tools of media. The participants will work in groups, sharing their ideas and views, learning methods of film making and media, and creating a project together in the topic of Presenting the Future. If you are 18-25 years old and live in Serbia please apply by filling out this form and sending it to office@volontiraj.rs. Costs of food and accommodation, program as well as traveling to the location and back are fully covered. Deadline for submission: 15th of August until noon. NB: If your application is successful, you will be asked to pay a participation fee of 2000 RSD to Volunteers’ Centre of Vojvodina in order to take part.